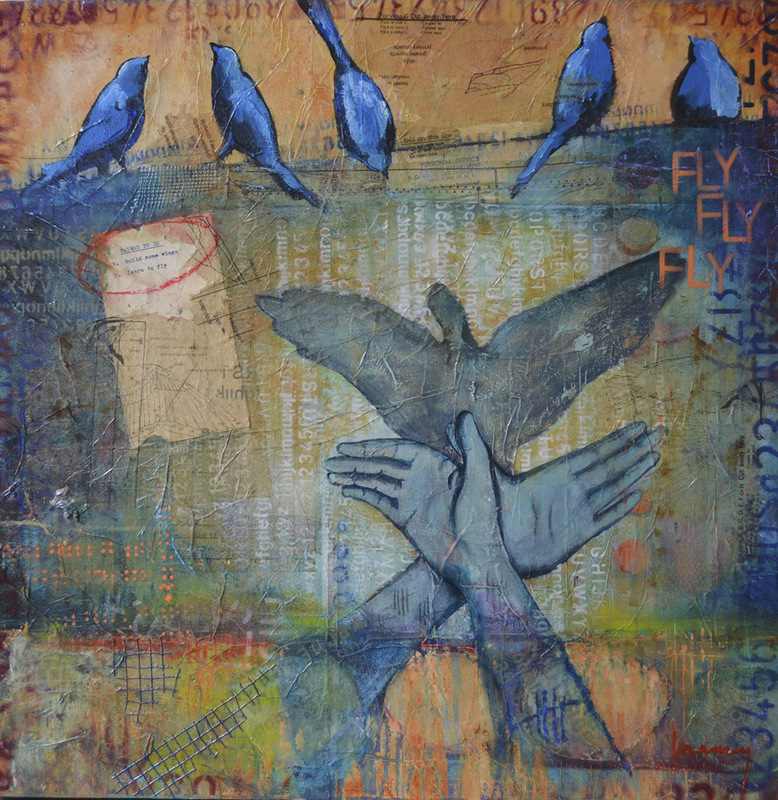 This mixed media piece was created on a 24x24x1.5 inch canvas using vintage papers, acrylics and inks. It is full of layers and textures and has been top-coated with a clear satin finish that has a bit of a sheen. On close inspection you will be able to see the vintage diagrams of birds and wings layered throughout piece…. yes, I believe it is time for us to fly.